Unfortunately, the wine tasting evening has been cancelled. We apologise if you were planning to come along. Wine and books, what a winning combination. Both range in quality, some are fizzy and bubbly and make you want to giggle, others are full and wholesome, leaving you sighing with satisfaction after each sip/page. At the Sutherland Shire libraries, we have a number of books and resources dedicated to helping you become a true wine connoisseur, someone who knows the difference between a merlot and a Cabernet Sauvignon. We also have a great number of books on pairing wine with food (another excellent combination, in fact - what a trio)! To celebrate and highlight these resources in the National Year of Reading, we are inviting you to an evening dedicated to exploring a range of wines, hosted by local business Porters Liquor Sutherland, featuring wines from Robert Oatley Vineyards. Each attendee will receive a complimentary glass of Craigmoor sparkling on arrival as well as the opportunity to taste and gain expert knowledge on a range of Oatley wines throughout the evening. Gourmet cheese and antipasto platters by local business Black Olive Gourmet will be provided as part of the admittance fee. Please join us for this special library event, celebrating the 2012 National Year of Reading ‘Explore’ October theme. Growing up is hard to do, particularly as a teenager coming of age. This is a time of physical, emotional and spiritual growth. It can be exciting or scary, and is often filled with feelings full of inner turmoil and angst, as adolescence is left behind and life as an adult begins. It’s a time for learning some important lessons in life, face trials and tribulations, and celebrate triumphs. Novels that explore this theme known as "coming of age", or "bildungsroman" books, tell the stories of characters as they embark on life-changing adventures, face difficult issues with friends and family and experience first love. These books may make you laugh, even cry, and will certainly act as reminders of your own experiences growing up, no matter what your age! This theme has been popular throughout the ages, and includes Charles Dickens most famous story, Great Expectations, with Phillip Pirrip, a.k.a 'Pip' narrating his memories of growing up. Other titles that continue to be read and re-read include The Adventures of Huckleberry Finn, Little women and Jane Eyre. 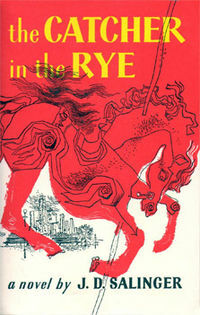 Perhaps one of the best known stories of this type is The The Catcher in the Rye,which tells the story of 48 hours in the life of Holden Caulfield. Recently celebrating 50 years in print is one of the best loved, and most challenged books of this theme, To kill a mockingbird by Harper Lee. There are many popular contemporary versions of these books, often with a different perspective, setting or a twist. These include the Harry Potter series, The hunger games, and The lovely bones, told from the point of view of a ghost. Have you read Never let me go, The Secret Life of Bees, or The perks of being a wallflower? All of the books listed above have been adapted into movies, television series and plays, which will, no doubt, make them grow even more popular! Read all these? If you are looking for other "coming of age" novels to read, there are some other suggestions on Sutherland Library catalogue, just type in "Coming of age novel" in the search box. Help make this list grow longer, by logging into your account and tagging your favourites! Many of our library members know we have partnered with Overdrive to supply downloadable digital audiobooks and ebooks. What you may not know is that we have recently added another supplier of digital audiobooks - One Click Digital. One Click Digital is similar to Overdrive in that you login to a Sutherland Shire Libraries branded version of their website using your library card number. From that site you can search, browse and download digital audiobooks to your computer and transfer them to your portable devices. They offer a Media Manager, a piece of software to help you manage the checkout -- download -- transfer -- listen process just like Overdrive; there are versions for Windows and Mac. And they also have iOS and Android Apps available for your portable devices in the relevent app stores. With One Click Digital, however, there are no reserves and no waiting. All titles have unlimited availability, meaning all library borrowers can download the latest titles at the same time. In addition, over 90% of the Sutherland Shire Libraries One Click Digital collection are downloaded as unprotected mp3 files, meaning they work on almost any device including iPods and other mp3 players. There are some DRM protected Windows Media files in the collection but they are in the minority. On the other hand, there are no ebooks, only audiobooks. If ebooks are your thing you will want to stick with Overdrive. So if you haven't already discovered One Click Digital on our website why not check it out! We recommend that you watch the tutorial overview video before you start downloading as there's a bit of setting up involved to make things work smoothly. You can find the details for One Click Digital on our website under Audiobooks & eBooks. 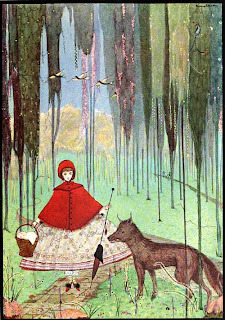 Fairy tales never grow old, they just continue to get re-imagined, re-invented and re-told in new ways, often with a modern spin and /or a twist in the tale. Hollywood has always been enchanted by fairy tales, who could forget the magic of the Walt Disney movies based on fairy tales? More recently released movies have been darker interpretations, including Red Riding Hood and Snow White and the huntsman. This trend continues with new movies about Hansel and Gretel and Jack the Giant Killer due for release in 2013. Here are some selected fairy tale re-tellings, stories that continue to keep growing and changing throughout time. Do you have a favourite fairy tale re-telling? Heathcote East Public School performed at Engadine Library on Thursday 6th September to celebrate the National Year of Reading. They sang a wide selection of songs including a Winnie the Pooh song and Beatles favourites Here comes the sun and Penny Lane. 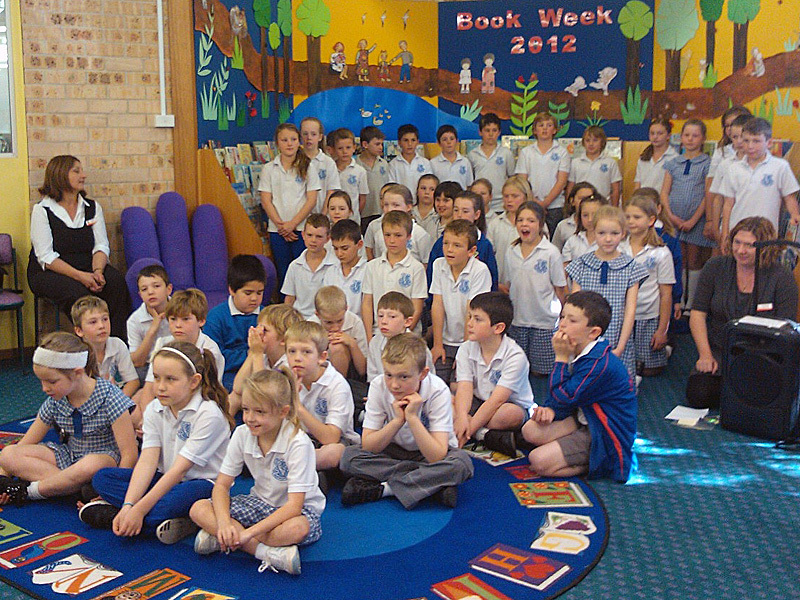 A good time was had by all as parents, library staff and patrons enjoyed their impressive performance! Thanks Heathcote East. As the National Year of Reading, 2012 theme for September is grow, this is the perfect time to combine two spring pastimes, gardening and reading. 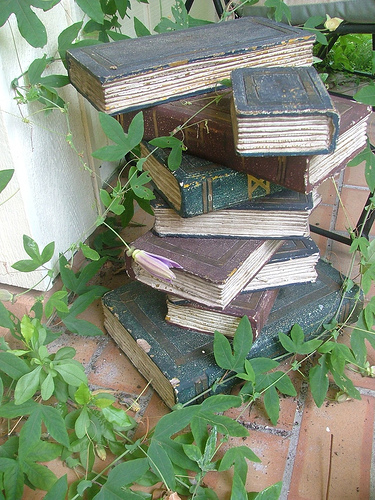 Try one of these fiction books alluding to gardens, gardening or at least flowers! This month, unleash your inner bookworm and grow your reading habit, starting with just ten minutes a day, or an hour a week. Feeling reluctant to start reading? Remember, there is no right or wrong way to read, you don't have to finish every book you start, and you can read (and re-read) anything you like. Reading is meant to be enjoyable, help you relax, and be entertaining as well as informative. Empower yourself and start your reading habit by reading (or re-reading) this reminder of the Readers Bill of Rights by Daniel Pennac, 1994. Has your reading changed as you've grown? 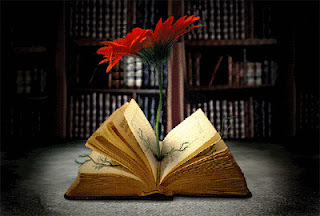 Does your reading help you to grow? It can, if you grow your reading habit and start to read at least 10 minutes a day this month. Go on a reading journey of personal growth, self help, or even just read bigger books, those with more pages, not necessarily bigger print! Interested in family growth? Read all about pregnancy, parenting and dealing with puberty. Have you grown tired of your current career? Read about careers in growth industries such as obstetrics, hairdressing, horticulture, or farming.Have you been reading recipes and baking , then found yourself growing bigger than you would like? Read about diets and exercise, or even weight lifting if you’d like to grow stronger. This is also a great month to read about the environment, sustainability and gardening. You may like to read about growing a reading garden, and even be inspired to create a such a space to relax and read. What a great way to grow a reading habit!